The one that is about to be a grandmother? I'll cut to the chase and tell you he hasn't come yet. 1. I'm starting my second week away from home and I'm missing it just a little. 2. I have a special surprise waiting for me. It's big. Very big. 3. It's a surprise for you, not for me. 4. Last month 3 of my sisters moved my parents into their assisted living place. 15 years ago they downsized and got rid of a lot of stuff. This downsizing really wasn't as extreme as that in regards to the inside of the house. But the total - garage, shed, yard stuff - downsize was pretty extensive. 5. My job was to take what I wanted and figure out what to do with the rest. 6. I have many things to bring home. I collected some things I just never ended up with before. Like a melon baller. And a mortar and pestle. Stuff like that. 7. 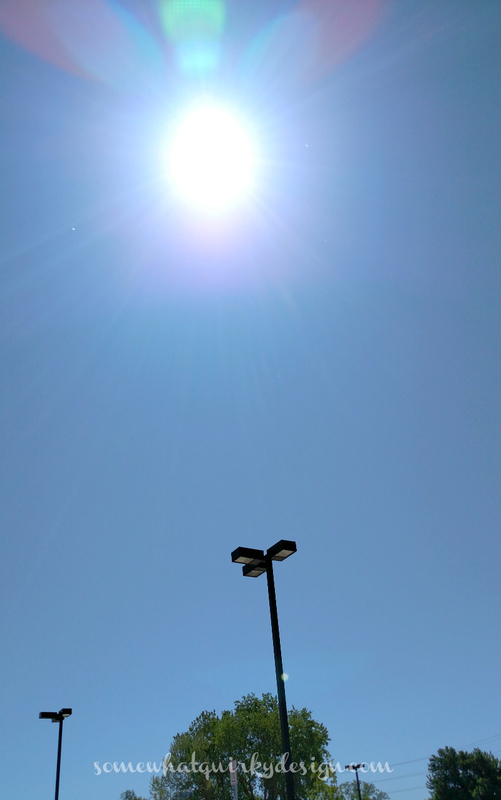 The sun here in Oklahoma has been glorious. I wish I had had some sunglasses made before I left. Maybe I'll just buy a gigantic pair to wear over my glasses. Because that would be SO HOT! 8. I mean, one day the sun was so bright and my hair kept blowing in my face and I couldn't even see my phone! 9. My sisters and I held a garage sale at the old house. The whole driveway and most of the house is shaded by these giant oak trees. 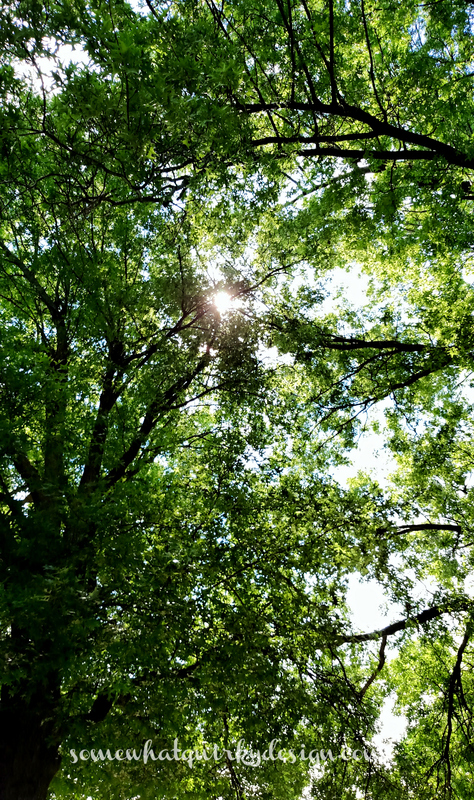 The make fabulous shade but LOTS of acorns and baby trees. 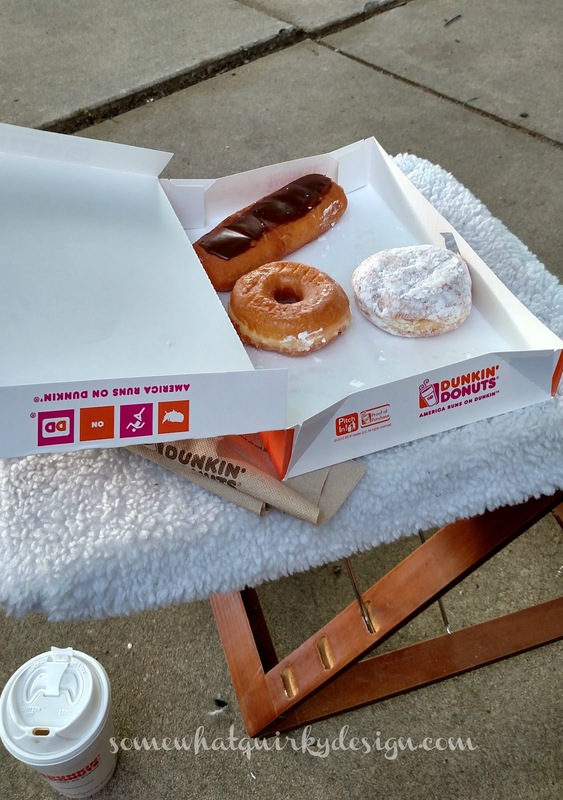 And man-oh-man does it make for a comfortable day outdoors. 10. I heard a lot of accents that I hadn't heard in a long time . . .
11. The first day I was here we went to the Oklahoma City Festival of the Arts. I love the Oklahoma Festival of the Arts. I don't advise it for women who are 39 weeks pregnant. 12. I met a new favorite artist. Rebecca Mannschreck. 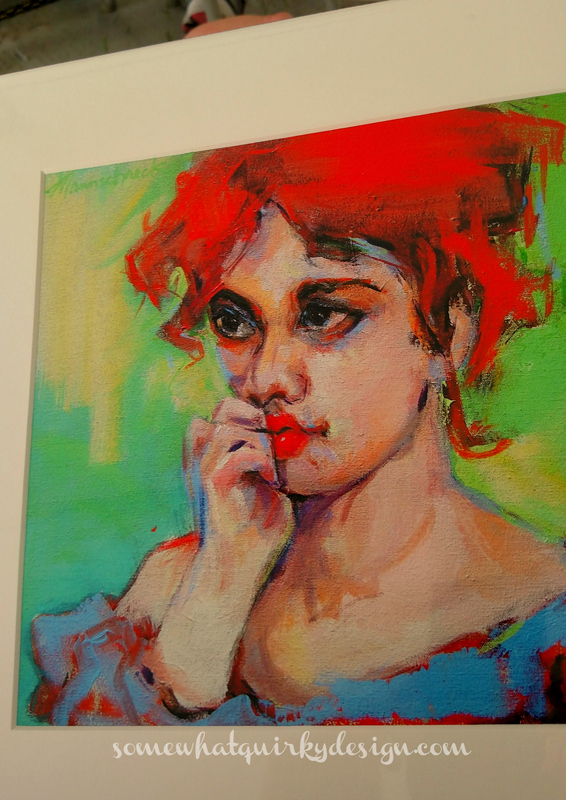 I bought a print of this painting by her. She had some awesome horse paintings. 13. 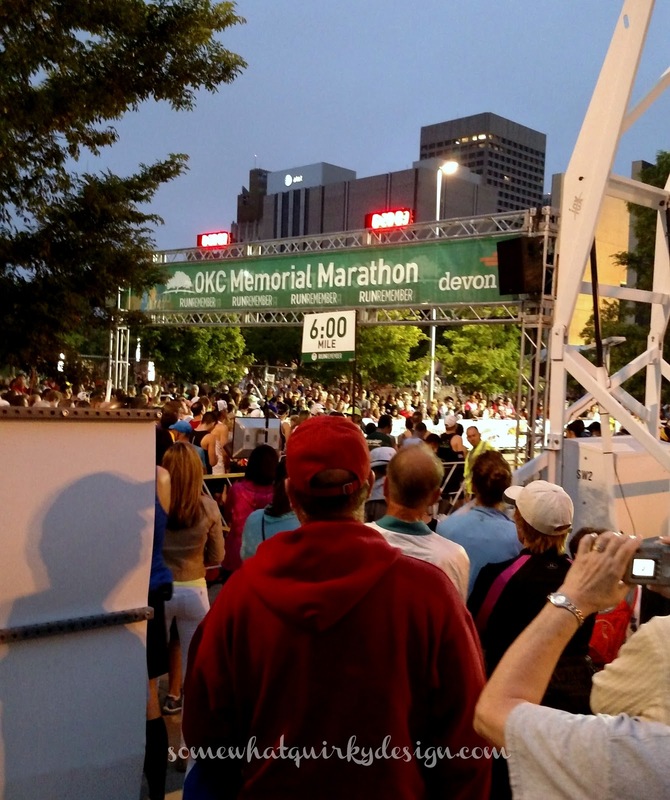 The next day at the crack of dawn we went to the OKC Marathon - A Run to Remember. 14. It was way more fun than you might imagine. We cheered. We got caught in a human jam. As in just standing there for a LONG time. Wondering if we would ever escape. It was a little frightening. 15. I saw my first bedazzled bison. 16. 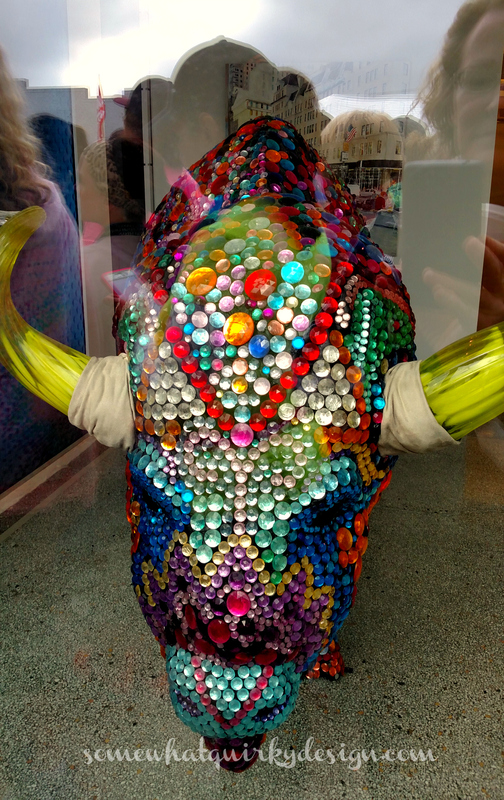 I would bet money that you have never seen a bedazzled bison before. Am I right? 17. It all went downhill from there. That was when I began the great house clean out. 18. I looked through box after box of old pictures. Box. After. Box. It was a lot. 20. I was tired today. But glad to have the day "off." 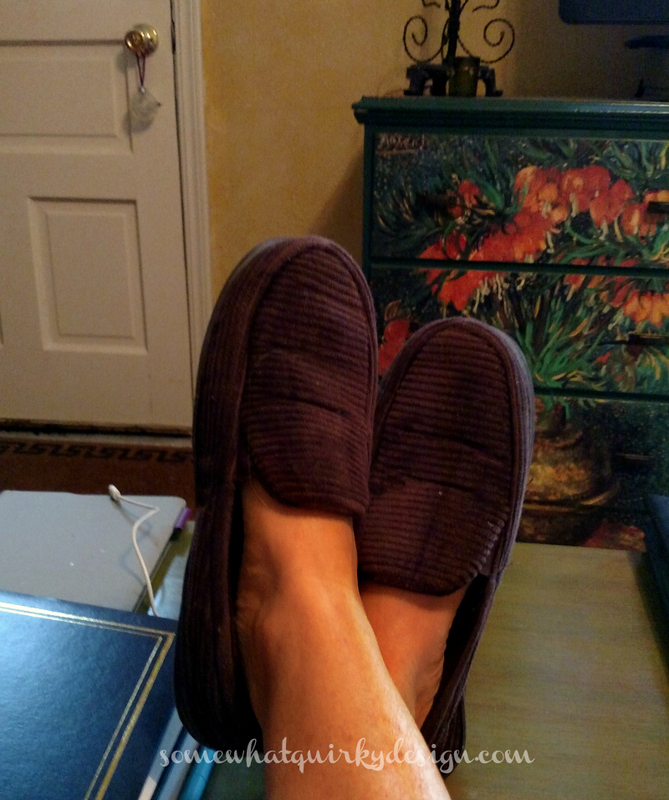 I didn't bring my ugly slippers, but I did find some to wear while I'm here. 22. I think I won't take them home with me. They make my feet sweat. 23. Next up on the agenda is unpacking good daughter's condo that she just moved in to but hasn't had the time or energy to do. 24. After that I get to do the fun stuff. The nursery. 25. We also put this on our calender. 26. Tonight is family dinner. I made a cake! 28. And, oh yea, there is going to be a baby born very soon . . .
Tell me what's up with you???? Karen thank you for bringing me current on your life. I just love these kind of posts. A real slice of life. I don't know where to begin when it comes to moving parents into assisted living. I hope the transition is going well for everyone. 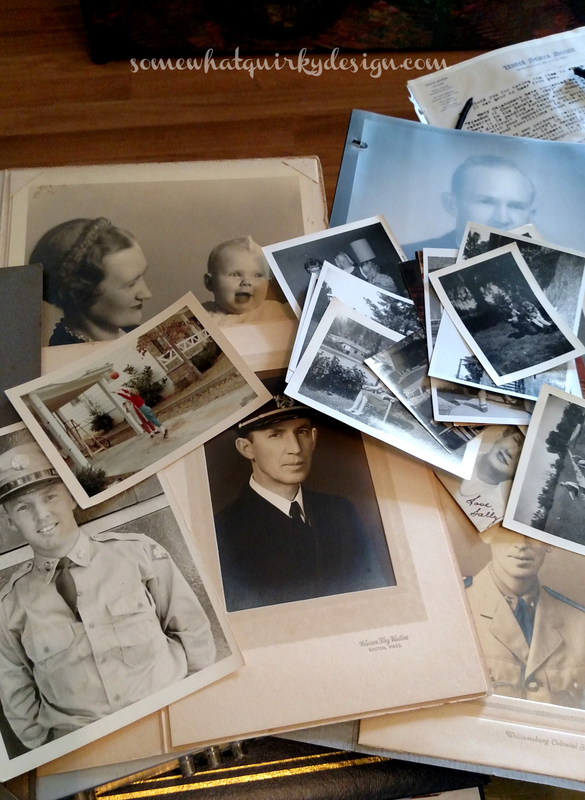 Was it hard to go through all those photos and sentimental belongings? I get tired just thinking about it. And emotional...but that's just me. Congratulations on the new grandbaby. I can't wait...I'm living vicariously through you and I'm so excited. Oklahoma sounds fun. But I want to see pictures of you at the sing-a-long! I remember cleaning out my parents house. Oh.my.goodness. I didn't know a house could hold so much. Made me go home and start getting rid of stuff. I still have a lot of stuff to get rid of. Yikes! Sounds like you are enjoying your stay. Have a wonderful week.